After having installed Elisam Optical Onion Graders in Australia at LJM Produce in Western Australia, 2-Lanes in 2016 and at Zerella / Parilla Premium Potatoes, 4-Lanes in 2017, Food Automation and Elisam have now also installed and commissioned the First Optical Onion Grader in New Zealand. In April 2018 a large group of representatives of Southern Packers in New Zealand organised a visit to Zerella / Parilla Premium Potatoes in South Australia, to see their 4-lane Elisam Optical Onion Grader in Operation. 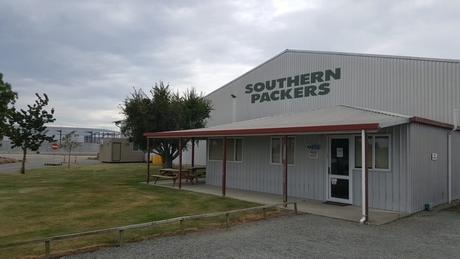 “After having seen this Impressive line and the possibilities this would create for us to strongly increase the quality of our grading process our end product and the enthusiastic feedback of Zerella / Parilla Premium Potatoes it all went very quickly”, Dean Pye, share holder of Southern Packer says. 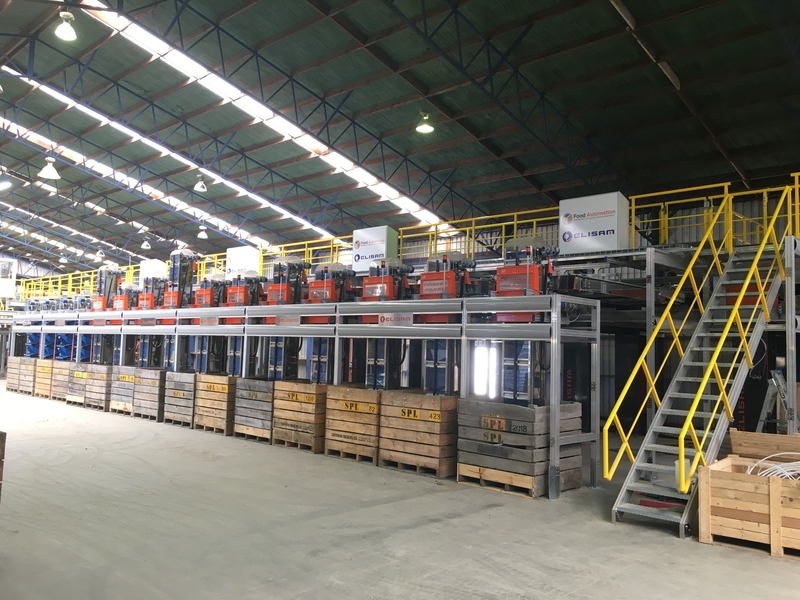 “With the excellent grading capabilities that the Elisam Grading line was achieving at Parilla Premium Potatoes, we can grade, control, plan and utilize our crop with much more efficiency and are able to translate this to an even higher quality product and service level towards our customers”. 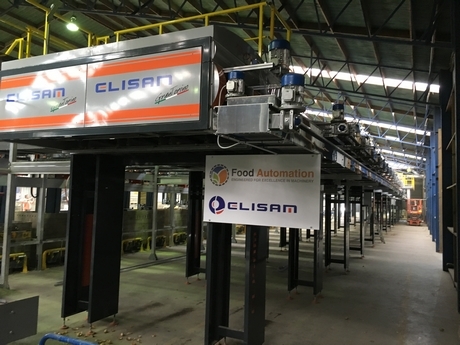 “We got in contact with Chris de Krom from Food Automation in South Australia, who is the exclusive representative of Elisam in Australia and New Zealand”. Elisam has proven to be the World Market Leader in supplying Optical Onion Grading Solutions. “Together with Chris de Krom we discussed our plans and goals, which were then translated into the most optimum layout that gave us enough capacity as well as maximum flexibility. By the end of that month the line was ordered and the project on its way”. In July 2018 Murray Turley, chairman of the board at Southern Packers, visited the factory of Elisam in Italy. “It was great to see the enthusiastic and very professional team of Elisam and their factory. It only confirmed the confidence we had placed in both Food Automation and Elisam”. “Elisam managed to finish the equipment even a few weeks earlier than planned, which allowed us to ship the twelve 40 foot containers ahead of schedule”, Chris de Krom, director of Food Automation says. On the 22nd of November 2018 the first containers arrived on site, 3 days later all 12 containers were unloaded and the installation was on its way. 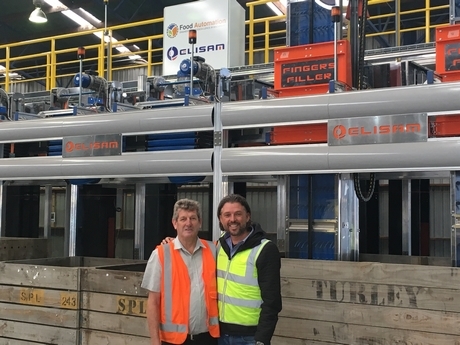 After a short break for Christmas, which was utilized by Southern Packers to finish their part of the Installation, both Elisam and Food Automation returned back to New Zealand to successfully commission the line. “Southern Packers Limited is very grateful to Chris de Krom for his professionalism and the Food Automation and Elisam companies, for making the whole process of investigating and purchasing the Optical Grader a seamless exercise”, Colin Tarrant, Operational Manager of Southern Packers says. “Technology is the way forward and the Elisam Optical Grader is at the top of this development. This grader will put us in a position to give further satisfaction to our customers, by increasing productivity, improving and supplying consistent quality, and enable our company to grow”, Colin Tarrant continues. “Apart from the over 130 Optical Onion Grading lanes Elisam has already successfully installed throughout the world, the combination Elisam / Ellips have also commissioned many lines for the optical sorting of other Fruits like Dade’s, Stone fruit, Apples, Oranges, Melons and many more. The data and feedback off all these optical grading lines are used to constantly improve the quality of the grading process and software. In this way all Elisam / Ellips customers can benefit from these constant improvements”, Chris de Krom says. The very long experience in the Optical Grading Industry, the professional approach, the stable organisation, the in house specialism of Ellips in both external and internal optical quality selection, are only a few reasons why customers choose for the optical graders of Elisam. “We also invite customers to make reference visits to one or several of our previous installations, so they can see the lines with their own eyes and discuss their questions with the owners and operators of these lines. This allows them to hear what their experiences have been with the equipment, over the years that they have been using it. We aim for the equipment ‘to sell itself’, instead of showing our customers a nice 3-D presentation. Practise normally does not lie”, Chris de Krom from Food Automation says. Mobile: +61 427 565 658.